The Association of College and Research Libraries is offering travel scholarships of up to $2,000 each for librarians presenting on their work demonstrating the impact of academic libraries in the broader landscape of higher education. This program is one of several developed by ACRL’s Value of Academic Libraries (VAL) Committee to support librarians in their efforts to communicate to our partners in higher education including administrators, scholars, and teachers working in all disciplines. These travel scholarships support the community in taking up a recommendation from the ACRL report Academic Library Impact: Improving Practice and Essential Areas to Research (prepared by OCLC Research and released in September 2017 for download or purchase) that academic librarians effectively communicate their contributions both up to institutional stakeholders and out to other departments. ACRL invites applications from those seeking to present work on the impact of academic libraries at higher education conferences or disciplinary conferences where they will reach a wide audience (scholarships will not be awarded for travel to library conferences). The presentations may be based on practice-based work or formal research projects. To have the greatest possible effect, the committee seeks strong applicants who bring a range of perspectives in terms of types of institutions, geographical regions, and nature of the work presented. The conference must take place between September 1, 2018 and August 31, 2019. Reimbursable expenses include conference registration, lodging, travel (round-trip economy airfare, train ticket, or mileage), and meals (up to $50 per diem). The applicant should clearly outline estimated expenses in the budget. Each applicant must be a member of ACRL and employed as a librarian or information professional in an academic or research library in the year prior to application for the travel scholarship. The applicant must have submitted a proposal to the conference where he/she wishes to present at the time of application. Granting of the scholarship is conditional upon the proposal being accepted by that conference. How well does the proposed presentation align with the Value of Academic Library goals and objectives as stated in ACRL’s strategic plan? The proposal should explicitly state how it supports the VAL objectives in the strategic plan. 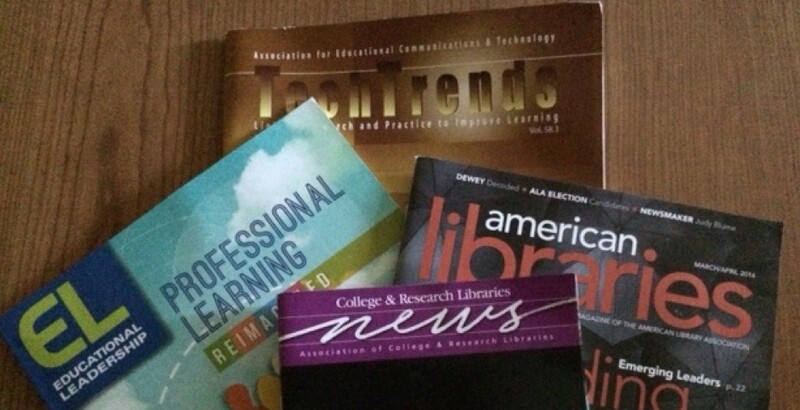 Does the topic align with current interests and trends in higher education and libraries? The proposal should identify current trends – in scholarship and/or practice – and how the work being presented advances those trends. Is the proposed presentation clear and intriguing? Does it investigate or provide new ways of thinking about the impact of academic libraries? Are the ideas well-conceived, developed, and articulated? The proposal should clearly outline its purpose and outcomes, as well as appropriate methodology utilized. If the project/research on which this presentation is based has not yet been completed, a timeline for completion should be outlined. Is the need for funding strongly articulated and demonstrated? The budget should be clearly outlined, along with discussion of any alternative or additional sources of funding. Is the reason for presenting this project at the stated conference compelling? Does it fit closely with stakeholder interests? Why is the presentation format chosen appropriate? The proposal should consider the primary audience of the conference and how the presentation will engage them. The application cover sheet is available to download here. Please fill it out, save it, and combine it into a single PDF with the other application documents detailed below. Include the abstract/proposal you submitted to the conference, which should clearly outline the purpose, methodology, and outcomes of the project on which this presentation is based. ​Address how this presentation will contribute to ACRL’s Value of Academic Libraries initiative and strategic plan. The proposal should clearly state why this specific conference is a good place to present based on supporting evidence such as the primary audience and what sort of institutional stakeholders they represent (e.g. administrators, faculty, educational researchers, etc.). Also address the presentation format and why it’s suitable for highlighting the value of academic libraries. If you collaborated on this project with others, please briefly explain the role of the different members of the project team. If you stated that you have other funds available from your institution or another source of support to travel to this conference, please explain briefly what this funding supports and why you are seeking an ACRL travel scholarship in addition to it. Provide an itemized budget with a list of anticipated expenses totaling no more than $2000. Reimbursable expenses include conference registration, lodging, travel (round-trip economy airfare, train ticket, or mileage), and meals (up to $50 per diem). This should be written by your supervisor, department head, library director, provost, etc. to indicate that they support travel to the conference as part of your professional development and, if applicable, will provide other funds to supplement this scholarship. It does not need to be on letterhead or signed, but should have the statement author’s name, job title, email address, and phone number. The deadline to submit your completed Value of Academic Libraries Travel Scholarship Application for the current round of awards is 5 p.m. Central Time on Friday, August 31, 2018. Applicants will receive notice of the status of their travel scholarship applications by October 19, 2018. The deadline for the next round will be February 15, 2019 and those applicants will receive notice by April 1. Both of these rounds of applications apply to travel between September 1, 2018 and August 31, 2019. Submit a claim for reimbursable expenses – not exceeding the proposed costs – by Aug. 31, 2019. Include the reimbursement request form and all required documentation. Acknowledge in their conference presentation that they received ACRL funding. Provide ACRL staff with a copy of their conference presentation and a brief textual description (abstract) which ACRL may disseminate online, for example as part of a blog post or other update to the community. See the application frequently asked questions for more details about applying. Introduction The International Journal of Technology-Enabled Student Support Services (IJTESSS) presents, analyzes, shares, and collaborates ideas, experiences, research studies, and cases on the advancements, innovations, and implementations of technology in student support services covering the entire gamut of education ranging from formal learning to informal learning, including childhood education, tertiary education, vocational education, open and distance education, and skill development and competency enhancement. Targeting educational planners, administrators, researchers, educational technologists, educational specialists, and marketing educators, IJTESSS attempts to create a networked approach of synergy between technology and student support services and its management for sustainable educational development and competency enhancement. In addition to full-length research papers, this journal publishes insightful books reviews and case studies on educational institutions and their techno-management initiatives for the management and administration of support services for students at all levels/stages of education. Invitation The Editors-in-Chief of the International Journal of Technology-Enabled Student Support Services (IJTESSS) would like to invite you to consider submitting a manuscript for inclusion in this scholarly journal. The following describes the mission, coverage, and guidelines for submission to IJTESSS. Mission The mission of International Journal of Technology-Enabled Student Support Services (IJTESSS) is to provide an international forum for technological innovations and its related applications for effective student support services and its management and administration in all the segments/stages of education (formal as well as non-formal), including, but not limited to, early childhood education, school education, K-12 education, higher education, online, distance, and continuing education. The purpose of the journal is to cover diverse socio-economic, geographic, and differential cultural perspectives under the overall mandate of the application of technology in student centric support services in the diversified fields of education and learning. This journal publishes scholarly articles on the latest findings in technology and its application for student support services. Researchers and practitioners are invited to submit their original empirical research articles 3,000–10,000 words in length. Interested authors must consult the journal’s guidelines for manuscript submissions at http://www.igi-global.com/publish/contributor-resources/before-you-write/ prior to submission. All submitted articles will be reviewed on a double-blind review basis by no fewer than 3 members of the journal’s Editorial Review Board and 1 Associate Editor. Final decision regarding acceptance/revision/rejection will be based on the reviews received from the reviewers and at the sole discretion of the Editor-in-Chief. Innovative student wellness initiatives with an emphasis on programs that have been assessed. Partnerships with other campus student service providers or student groups. Education and training initiatives for library staff to help them recognize students in distress. The development of spaces in the library to support student wellness (e.g., meditation spaces). current CVs for all authors. Amber Lannon is the Associate University Library for Academic Services at Carleton University (Ottawa, Canada). She has authored journal articles, and has authored, edited, and contributed to monographs (ACRL, Chandos Series, Scarecrow).